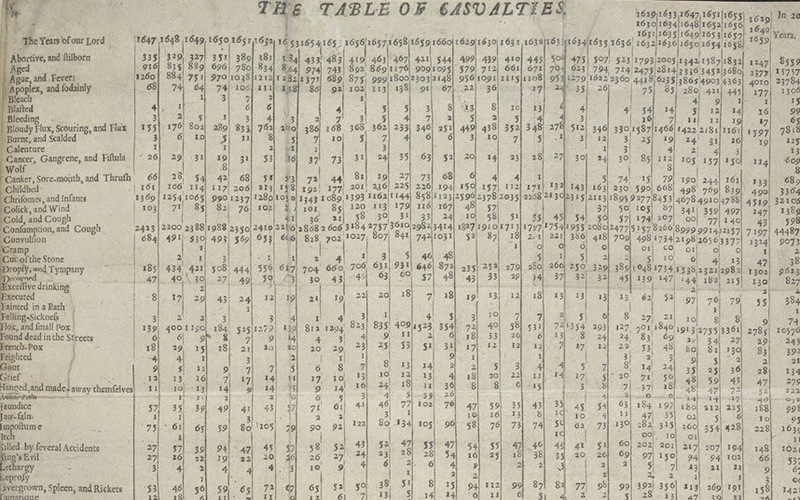 This is a page from John Graunt’s Natural and Political Observations Made Upon the Bills of Mortality listing some of the recorded deaths from 1662. Here we have Excessive Drinking, Executed, Grief, and Leprosy, as well as “French Pox” and the King’s Evil. Although some people did die of “Itch” (12, to be precise), most deaths were caused by much scarier things. To follow up from Five Horrible Ways to Die in Restoration London, here are five of the most common (but no less horrible) ways to die in Restoration London. Childbirth and Puerperal Fever (Childbed Fever): Complications and infections related to childbirth were the number one killer of women. Puerperal fever could be contracted during or after childbirth or miscarriage, and was often caused by genital tract sepsis from improper hygiene. Of course, they might not even get the chance to contract it: if it took too long for the afterbirth to come out, impatient midwives might reach in and just pull it out. This could result in acute inversion of the uterus, which would definitely kill them. Being a Child: If infants survived birth, teething could kill them. Infants’ gums would sometimes be lanced for relief, after which the wounds would become infected, causing fever and death. If they made it past teething, they were vulnerable to mumps, whooping cough, scarlet fever, German measles, diphtheria, meningitis, erysipelas, typhus, and rickets. Smallpox: Smallpox was incredibly infectious and could lead to death, especially in children. It was treated by bleeding and could be survived, but might cause loss of sight and scarring, and as many as half of all Londoners had smallpox scars. 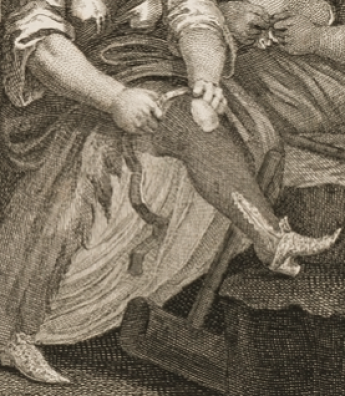 Smallpox scars were even seen as desirable in servants as their employers know that they would not catch the disease again. Tuberculosis (Consumption): Probably the most prevalent killer during the Restoration period, this chronic condition was blamed on everything from witchcraft to “vapors from women.” Graunt estimated that at least 44,500 people were killed by tuberculosis between 1641 and 1661. Fire: The Great Fire destroyed at least 13,000 houses and it’s impossible to know how many people were killed. The Bills of Mortality weren’t published that week. The areas hit the hardest were the poorest with very dense populations, and there were few remains that were recognizable as human. Fire was also the second biggest killer of women as their sleeves and skirts could easily catch while they were cooking over open fires.